To start the New Year off, firstly I would like to welcome everyone to what is shaping up to be a big year for St John Ambulance NT and for the Northern Territory Community as a whole. There is much to look forward to and I trust we can bring you more and more good news stories each month through these newsletters. Merit Partners, who are long-term supporters of St John Ambulance, generously donated a $5000 cheque to our volunteers on the 21st of December. Commissioner Mark Ferguson gratefully accepted the cheque from Matthew Kennon. We thank Merit Partners for their ongoing support. The National Cadet Camp was held from the 5th to the 12th of January, on the Gold Coast. Throughout the seven days, campers were split into teams, each co-existing with at least one member from each state/territory contingent. 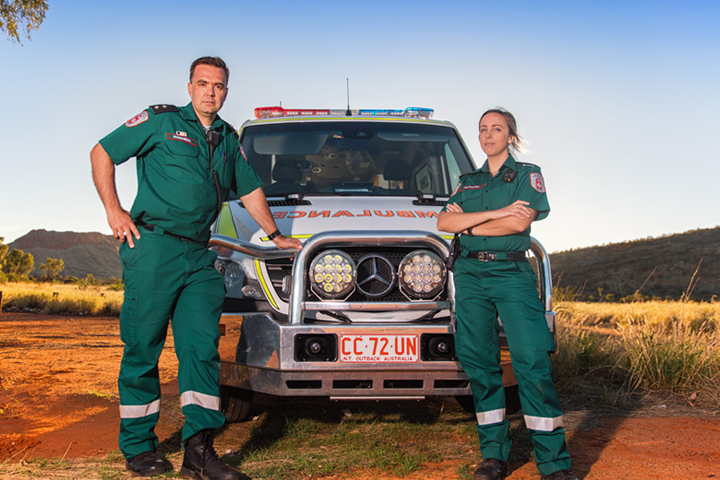 The National Cadet First Aid Competitions were held at Movie World where the scenario story was: St John Volunteers were manning a first aid post whilst Village Roadshow Entertainment were filming a new scene for the upcoming Batman movie. leader scenarios involved two critical casualties. Prior to taking part in the clinical scenario, each state/territory competitors took part in skills and attributes, which required all competitors to make a board game and to assist in the delivery of basic first aid skills taught to children by the First Aid in School’s program. The Northern Territory team placed third. The individual representing the Northern Territory placed second, and the cadet leader placed fourth. The rest of the camp saw campers visit theme parks, partake in campsite activities, including high ropes, the giant swing and body boarding. Campers also took part in an amazing race type activity, starting in Tallebudgera and ending in Surfer’s Paradise. Cadets found themselves taking part interesting activities and challenges in between. Congratulations to Peter Poole, long term volunteer from St John Ambulance who was awarded Darwin Citizen of the Year by the Lord Mayor of Darwin, Katrina Fong Lim for his over 37 years of continuous service. Peter will be attending the official ceremony on Australia Day where he will be formally awarded. We also congratulate Guy Andrew who was also nominated in this category and to Krystal Rose Kent who was nominated in the Young Citizen of the Year category. Congratulations to Satnam Singh, winner of the e-newsletter signup competition for December. Satnam has won a Personal Motoring First Aid kit valued at $38.50.